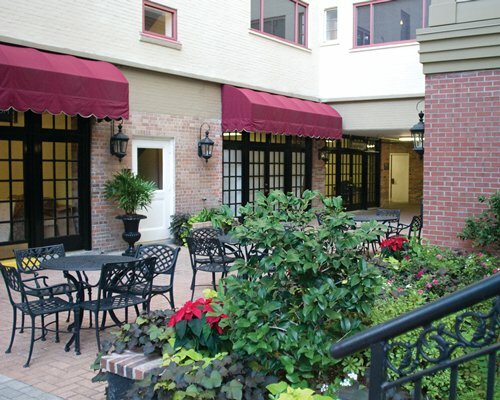 The elegant entrance of the WorldMark New Orleans welcomes you to a world of relaxation and rejuvenation. 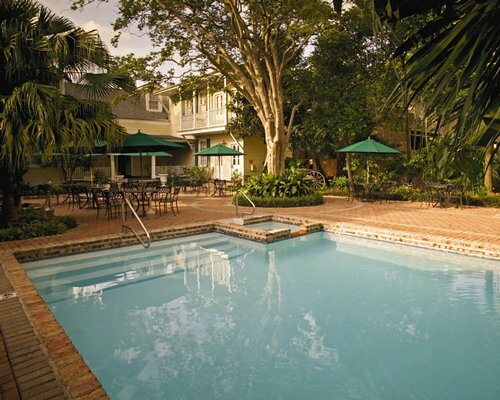 While you may spend a lot of your time in the Big Easy touring New Orleans, you might also enjoy swimming in the resort's outdoor pool, relaxing in the spa, sauna, or on the rooftop deck, working out in the fitness center, dining at the on-site restaurant, or pampering yourself at the day spa and salon. 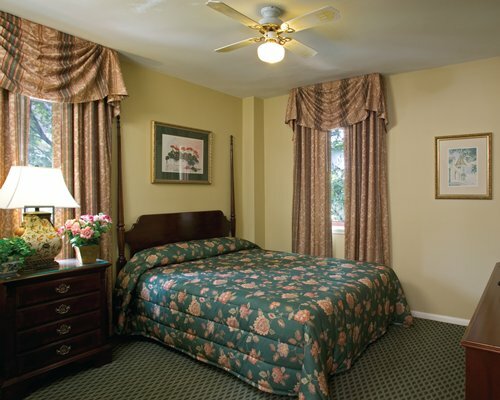 Unit amenities include small kitchenettes with sink, microwave, mini fridge, coffee pot, air conditioning, TV with VCR & DVD player, iron and ironing board, telephone, hairdryer, and in-room safe. Studio units OCC: Max 2/Pri 2 have one queen bed and 1 bath. One bedroom units OCC: Max 4 Pri 2 have one queen bed, one queen size sleep sofa & 1 bath. Units in this urban location are typically smaller. There is a charge for parking. A car is not necessary, as there is good public transportation in the area. Pets are not allowed. A credit card imprint is required when you check-in as security deposit. Units are assigned upon arrival. Check-in time is 4PM and check-out is at 12 noon. 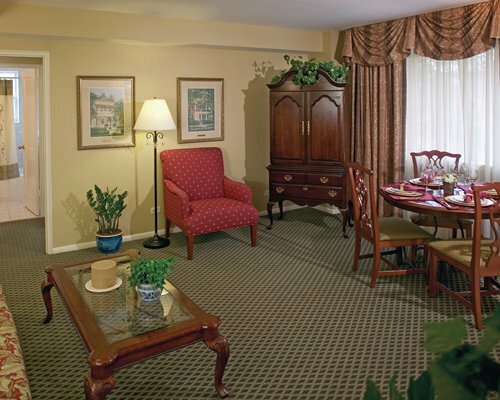 All that is The Big Easy awaits you from your suite at the WorldMark New Orleans. 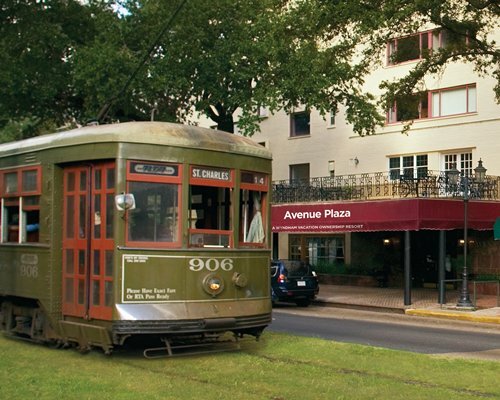 Located right at the entrance to the city's Garden District, the WorldMark puts New Orleans at your doorstep. 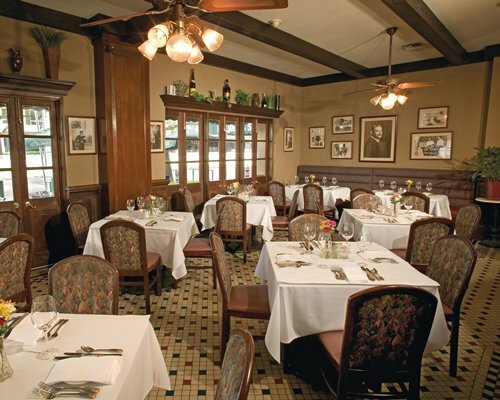 Take a streetcar to the French Quarter jazz clubs and restaurants. Tour New Orleans grande homes or the aboveground cemeteries. 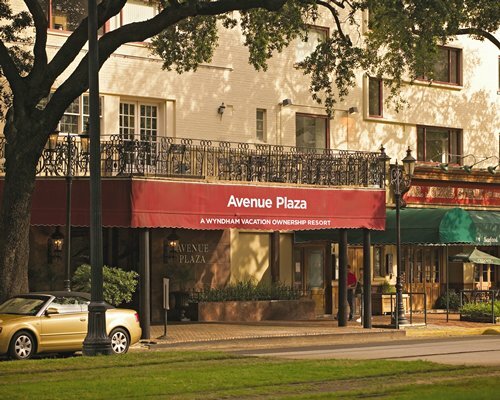 Shop and dine along the Riverwalk. 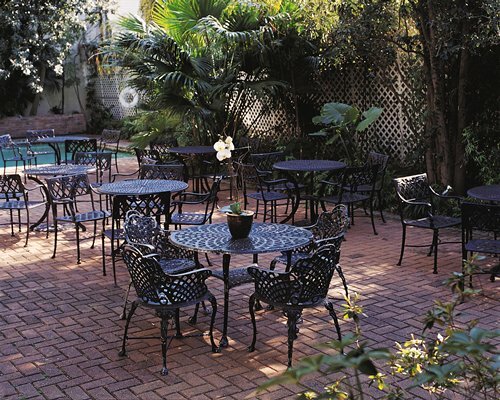 Head to the French Quarter or take a riverboat cruise. 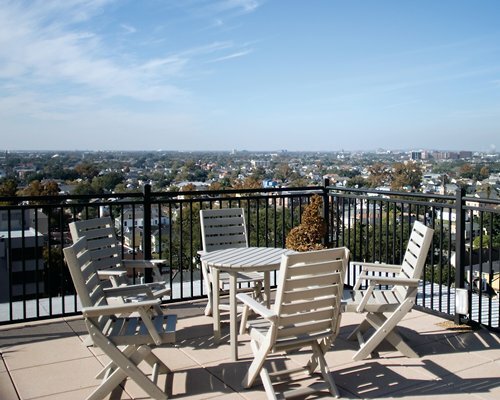 From the Worldmark, New Orleans awaits you. From New Orleans International Airport 15 miles away: Take 1-10 East Business District to exit 234A/Hwy90 West/Westbank. Exit onto Carondelet St./St. Charles Ave. ramp. Proceed to the second traffic light and turn right onto St. Charles Ave. The resort is located one mile ahead on the right. CHECK OUT TIME IS 10 AM AND STRICTLY ENFORCED. Parking fee is 11.00 to 22.00 U.S. dollars. Cash or Credit is accepted.